A strategic planning and earlier organisation can greatly minimise the inescapable stress of moving. Start from getting a checklist ready and breaking down the task into small chores. 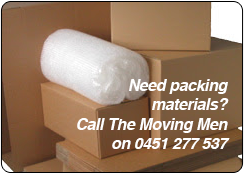 If you need assistance of any interstate removalists Brisbane To Sydney, The Moving Men is always ready to extent its helping hands to you. Start packing in advance & be ready and excited to move in your new house. Here are some tips, which will help you while shifting to your new house with The Moving Men. Prepare an advance to-do list of all the steps involved in moving. Inform your landlord. Get acquainted with your new locality and search banks, hospitals and school nearby the new residence. 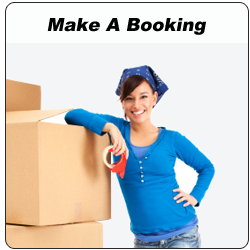 If you need help of a cheap price removalists Gold Coast To Sydney, hire a one earlier and inform them about your moving day. Purchase packing material like boxes, tape, labels etc. If your mover is not supplying dish boxes, wardrobe boxes etc. don’t forget to purchase them. Start packing with less used items. Use labelling system, colour-coding or numbering system to mark the boxes. Make a room-by-room packing plan to lower the stress. While packing the stuffs, you will surely find a number of clothes which don’t fit anymore or stuffs that are no longer needed. It doesn’t make a sense to employ valuable time and energy to pack these things. So, either donate or sell such stuffs. Even if you are taking help of cheap priced removalist in packing your household, make sure bundling up the valuable & expensive items with yourself. Pack the costly artefacts, jewellery, electronic gadgets carefully. It is advisable to pack the photo frames by placing it between blankets or woollen clothes. Use bubble wrap for rolling costly electronic gadgets. Make a separate bag for important files, documents and other expensive items. Keep these things aside and don’t get it loaded in removal van. In spite of it carry these packages with yourself. Make a list of all the contacts/email ids you require to update with your new address. 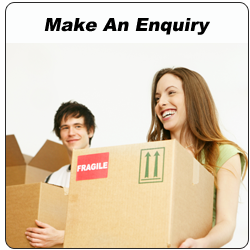 At first inform your neighbours, friends and family members about your move. In addition to it, update your bank as well as post office with your new address. Don’t forget to take referrals from your doctor and get your medical records shifted. Get a personal bag ready for each member of the family. Vacate your fridge a day before your move. Try to minimise your grocery shopping a week before your move. Pay all the bill of your old supplies like milk, newspaper, cable, electricity etc. and inform them about your shift. Get your new dwelling furnished with basic necessities before moving like cable connection, internet connection and newspaper.